Muslim countries as part of the country’s Belt and Road Initiative. The large number of countries with Muslim majorities along the reinvigorated trade route could enable China’s Muslims to play more important roles as the initiative advances, according to Yang Zhibo, a vice-president of the association. “We can provide consultancy or counseling services to companies looking to conduct business in those countries. It is also very important for companies to respect the culture and customs and conduct business negotiations in accordance with Islamic laws,” Yang said. 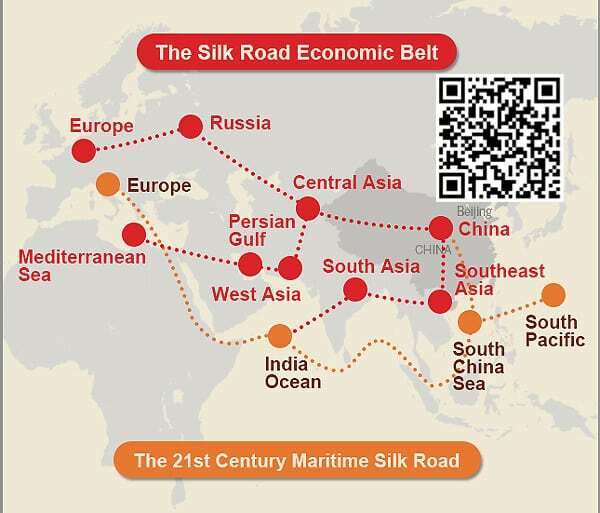 The Belt and Road Initiative was proposed by President Xi Jinping in 2013 to boost Chinese connections along the Silk Road Economic Belt and 21st Century Maritime Silk Road. Yang said the association will also take advantage of different platforms, including international conferences and websites, to introduce the initiative to the people of these countries and to quell any worries about China’s motivation. “We have the same religious beliefs. That makes it easier to build trust and obtain their understanding,” he said. The Muslim population worldwide exceeds 1.6 billion and there are estimated to be about 20 million followers in China, most of whom live in the northwest of the country. “We also need to promote the peace-loving notions of the Chinese Islamic religion in the initiative,” Yang said, as some regions along the route are affected by war. The initiative is expected to spur exports of the country’s halal products — foods allowed under Islamic dietary guidelines. Some areas, such as the Ningxia Hui autonomous region, plan to build China’s biggest domestic and international industrial zone for buying, processing and selling halal products. To further tap into the overseas market for halal products, China should draft national guidelines to coordinate exporters, Yang said. Guo Chengzhen, another association vice-president, said most Chinese entrepreneurs are unfamiliar with the people, environment and regulations in Muslim countries, and this is one of the major challenges they face in tapping into those markets. “This is the area where we can come into play. We can go to those countries and establish ties with them,” Guo said. He said the majority of companies exporting halal food and products to Muslim countries are small factories, and more big players should take the lead in tapping into these markets. “The big enterprises and small factories can complement each other. The big enterprises generally lack Muslim workers and the necessary communication skills, while the small players generally lack financial resources,” Guo said. He added that the initiative would enable the association to build closer ties with universities in Muslim countries, and increase interactions with Chinese students who pursue university degrees overseas.